Clear the runway! It's time to make a style statement. 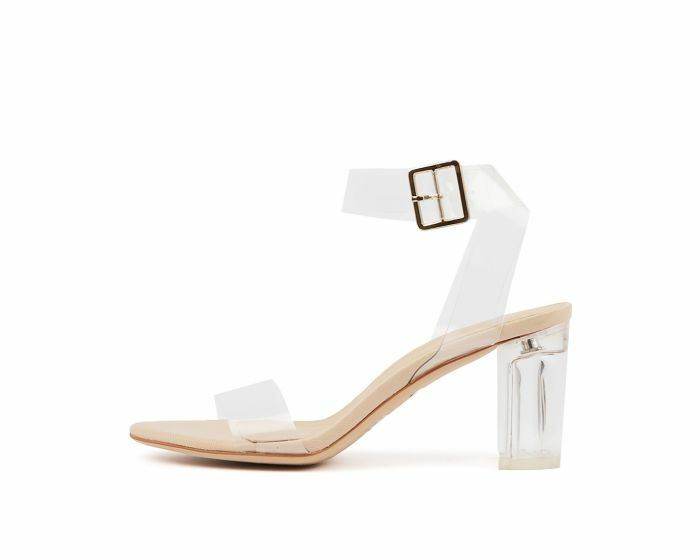 This sandal is a fashion-forward piece with transparent vinylite straps and a clear perspex block heel. A modern option that can be worn in a number of settings, you'll be surprised how often you turn to this design.